across commercial and office sectors. 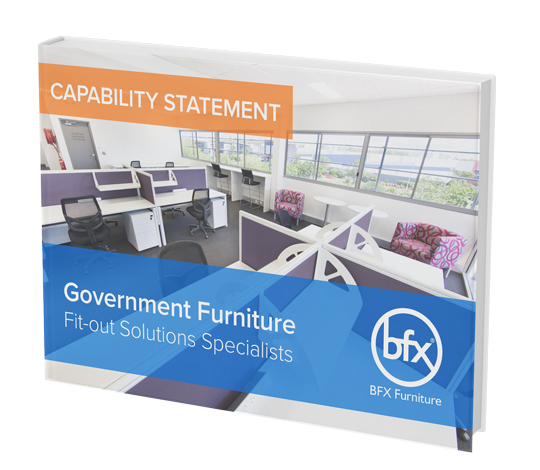 At BFX Furniture, we understand the ever-changing nature of business operations and the need for flexible furniture that works across different areas. Our office furniture is suitable across 5 areas. Boardrooms, training rooms, meeting spaces, work areas and break rooms. Work Areas – BFX can furnish all work areas with ergonomic office chairs, straight desks, corner workstations, standing desks, screening systems and storage solutions including filing cabinets, bookshelves and mobile pedestals. BFX's desk design layout is now the standard for all future Youi Insurance fit-outs. It was delivered on schedule without a single glitch. Delivery of the furniture ran smoothly with tiered deliveries for each floor… room numbers on each piece of furniture was also the key to manage the fit-out of each room. The feedback from staff has been exceptionally high. The product range and price was extremely competitive.